SEO is one of those industries that is based on data, experience and assumptions. For example, when Google launched the Google Panda update, we made so many assumptions, and many people gave up on trying to recover their sites from Panda penalties. Many bloggers, myself included, worked to fix the penalty damage and recovered completely. Google later launched the Google Penguin algorithm which was targeted to dismiss useless backlinks and penalize websites using shady methods to build thousands of links. Soon Google realized that they had given birth to negative SEO with Penguin, and they launched the Google Disavow link tool to give incoming link control to web masters. Undoubtedly, Google is making all of these changes to improve Google search and give better results. Any significant algorithmic change is always painful for web masters, and it is wise to work to understand the system, and give Google what it’s looking for. Google is not asking for money in exchange for ranking your site higher, and neither are they asking you to do anything out of the box. All Google asks of webmasters is that we follow their webmaster guidelines, and create websites that add value. On September 17th 2013, Google announced the launch of a new system call “Hummingbird“, and initially we had very limited data and information to describe what this new system would mean to people like you and me. In this article, I will cover everything I know about Google Hummingbird so far, and will share some ideas and insights on how to prepare your blog or website for future Google algo changes. What is Google Hummingbird, and why does it matter for SEO? First of all, don’t confuse Google Panda and Google Penguin with the Hummingbird update, as they are entirely different. Let me explain this by describing Panda and Penguin first. Google Panda: Google Panda was an algorithmic change which was put into effect to penalize websites with low-quality content. From the perspective of a search, not only is the quality of an article important, but the kind of pages you are allowing search engine bots to crawl and index are important as well. I have covered this in detail here, and I have shared how you can recover from Google Panda. Google Penguin: For years Google has used backlinks as one of its most trusted ranking factors. Once webmasters understood that links are a major ranking factor, they started gaming the system by buying thousands of backlinks. This created the problem of spam pages ranking higher in searches, and that’s why Google rolled out “Penguin“, another major algorithm update which devalues the links coming from spam pages. Both updates are algorithmic tweaks, meaning that Google made some changes in their existing algorithms and added factors which do not allow low-quality pages and low-quality links to rank high. Obviously, it’s more complicated than these simple words represent, but from the perspective of most users, this is what we need to know. Google Hummingbird came into existence for the public on the 17th of September, 2013, when the new system was announced on Google’s 15th birthday. This new model is intended to make search engines more directed toward conversational search rather than keyword-based search. User intent is also taken into consideration when a search is performed. That means that Google is changing the approach of Google search from keyword-oriented searches to intent-oriented searches, and this will have a significant impact on the ranking of a website. The good news here is that unlike Panda and Penguin which were more penalty-based algorithmic changes, Hummingbird is a reward-based change. All of this means that websites that fit the criteria of Hummingbird will notice better search engine rankings, and other websites will remain unaffected. Do remember this quote in the field of search engine ranking: “One person’s gain is another person’s loss“. Here is an example from the Wordtracker blog, which will give you a pictorial representation of Hummingbird from a searcher’s perspective. 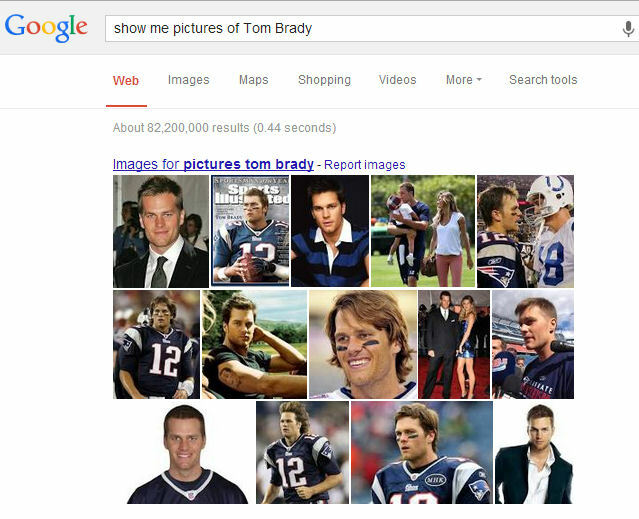 The above example is for Google Knowledge Graph. According to Eric Enge from Stone Temple Consulting, with the Hummingbird update, Google started putting the Knowledge Graph update into non-knowledge graph queries in order to make Google search more intent-based, and based on natural conversational queries. First of all, Google search will continue to evolve, and we will keep seeing changes in the coming months and years. Sometimes Google clears out the bubbles with official announcements about these changes, and sometimes we have to rely on case studies and expert opinions for what works and what does not. There are no official guidelines on how you can optimize your website for the Hummingbird SEO, but there are few new things that Google will take into consideration for ranking a page in the coming days. They may even be doing it at a small level. Based on my experience and advice from other SEO experts, here are a few things that I can suggest to you for making your website SEO future ready. I have previously written about LSI keywords and how helpful they are for helping Google bots to understand what a page is all about. 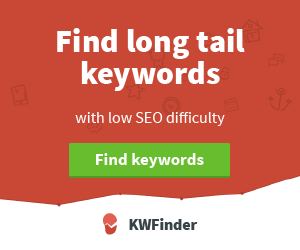 With the changing landscape of keyword optimization, I highly recommend that you take advantage of LSI keywords. Along with your main target keyword, ensure that you add all other related keywords to make your page more targeted and more keyword rich. The Internet is full of spam, and if I were a search engine, I would focus more on rewarding high-quality pages while also penalizing low-quality pages to show better results. Backlinks have long been one of the most important ranking factors, though Google is now changing this to rely more on social signals. Many of you may be thinking that it is very easy to play the social system by buying Google Plus “likes”, Facebook “likes” and so on, from various websites out there selling them. You would be partially right, but in the near future I see Google giving more weight to votes from credible profiles, rather than “likes” coming from just any Google Plus profile. This is yet another reason why I recommend that you minimize your Facebook usage, and work on building a better profile on Google Plus. Google Plus is the official social network of Google, and they have access to their data. This makes it more important for you to be strongly involved in their network. If you wish to read more about social signals, I suggest that you read our previously published guide on how social media impacts SEO. The SEO landscape is always changing, and to stay ahead of the crowd, you need to constantly be updated to ensure that your website is using all of the currently important SEO techniques. The future of SEO is unfolding, and now is the time to prepare yourself and your website to stay ahead of the curve. Use LSI keywords to make your content more clearly indexed. You can use LSIGraph for LSI keywords. Implement Google Authorship, and guest post on high authority blogs to improve your author-rank. Focus on making your blog more social-media friendly, and obtaining more social media sharing. Build a credible and highly valued Google Plus profile. Focus on building your blog as an authority blog and as a branded blog. I will continue to share more data and further details as I have access to them. For now, I suggest that you check out my case-study on removing dates from SERPS. If you have additional details about Google Hummingbird, or if you want to add your opinion, feel free to share it with us via the comments section below. If you enjoyed reading this article, do consider sharing it on Google Plus and Facebook and Twitter. You are also welcome to join me on Google Plus here. Hummingbird is easier and quicker for people to access answer to their questions and paying more attention to each word in a query and focuses on ranking information based on more intelligent and naturalistic search requests. Thanks for sharing the new Google algo. which is similar to panda and penguin but does not penalize any website. I have heard a lot , that Google Hummingbird can reduce the ranking of website which focus more Long tail keyword. Hope you will search on that further. What a perfectly written and detailed post it is! Hi Harsh, I like how you really explained this one to us. I also have noticed the difference lately with Google+ – it really has started to make a difference. I also like how you have the author confirmed domains, something I must work on as well with my contributor posts. Thanks for sharing this informative one with us! Look forward to reading more in this series from you too Harsh. Long and detailed post about Google Hummingbird. Surely I’ll follow your tips to optimize my blog for Google Hummingbird. Thanks for the share, Harsh. Before read this article really i don’t know about Google panda and Google Penguin and also don’t know hummingbird updates…But now i clearing all my doubt about this updates by Google…Thanks for sharing this awesome article harsh bro..Keep updating and sharing like this article..so me as a newbie blogger know about this type of facts. i was always confused in google algorithms that what does algo in google search means ? But here i come and found my answer and many more related to that. As i just heard about Hummingbird but now i understand that what is hummingbird. I found the information to be very beneficial for me. Hummingbird Update is one of the best google update and basically far much better than the others like Penguin.I Have a question is it really the author rank plays a vital role as i don’t think author rank is important much when we comes to hummingbird. Hey Thanks for sharing this useful post. I was wondering from last few days why my traffic is going down consistently. I wasn’t that actively sharing my posts on social sites. But, now i will surely do. I loved this article. This is the kind of information every person dealing with SEO needs to know. Thank you! Google is making its search system advanced than advanced with the passage of time and a little update in its system has big values from the SEO and internet marketer’s point of view. The Google Hummingbird algorithm filtered websites on the basis of contents that’s why now people are paying more attention towards quality contents. So many blackhat methods are now come to an end and its time to think natural ways of website optimization. I appreciate your struggle to convey the purpose of Google Hummingbird update. Thanks For Sharing For us this great information about google updates . Very interesting and useful article. The good thing about hummingbird is it’s not that dangerous like Panda and Penguin. I also think the Author Rank will do a pivotal role in the near future.